Running XenServer, you may run into instances where you needed to directly mount and boot a VHD file in XenServer. I have encountered this several times, including migrating a virtual server from Hyper-V to XenServer as well as updating XenTools and Provisioning Tools for Citrix-based deployments. The following process will take you through preparing a storage repository in XenServer and importing your VHD file for direct boot. VHD files require an NFS or EXT3 formatted storage repository. The standard install of XenServer creates a local storage repository using LVM format. You can destroy this and create an EXT partition instead. In my XenServer farms where I am using shared storage, I like to create at least one host with an EXT drive for flexibility. Please note, this will also destroy ANY VMs on that partition, so proceed with caution. 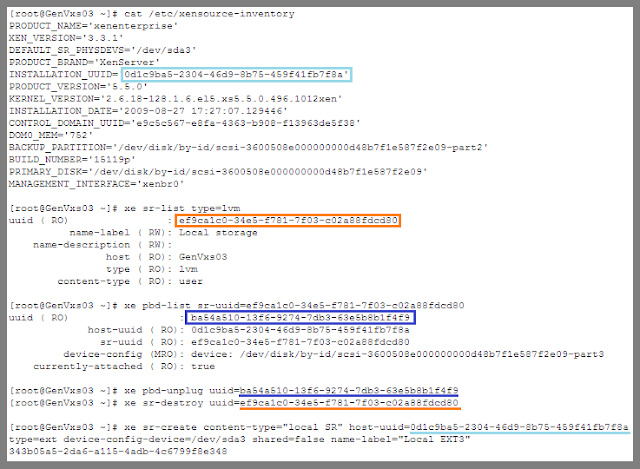 Connect to your XenServer command line interface. You can use XenCenter for this, but I like to use PuTTY for the copy/paste and scroll features. # xe sr-create content-type="Local SR" host-uuid=[YOUR HOST ID] type=ext device-config-device=[YOUR DEVICE] shared=false name-label=" Local EXT3"
Example Command: # xe sr-create content-type="local SR" host-uuid=0d1c9ba5-2304-46d9-8b75-459f41fb7f8a type=ext device-config-device=/dev/sda3 shared=false name-label="Local EXT3"
Connect to your target XenServer with an SCP Utility to copy the files. I have used WinSCP with good results. 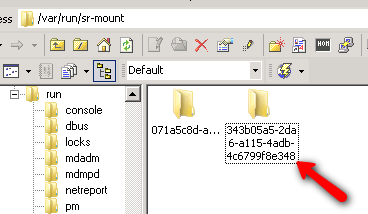 Using your SSH utility, note the name (UUID) of the new VHD file created by the wizard. Power on your machine... and if everything goes right, VIOLA! Your VHD is now imported and locally mounted. Once you power on the VM, you can update drivers, files, etc. If you plan on provisioning this server, connect a new blank vDisk and use XenConvert to capture an updated image. If you have enough storage space, I recommend keeping this image on the server for future updates/captures.